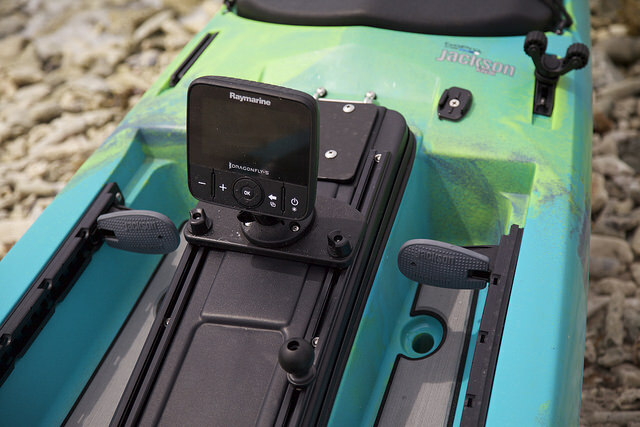 Here is a quick walk through video of the new Kraken 13.5 from Jackson Kayak. Visit your local Jackson dealer and take one for a test drive. 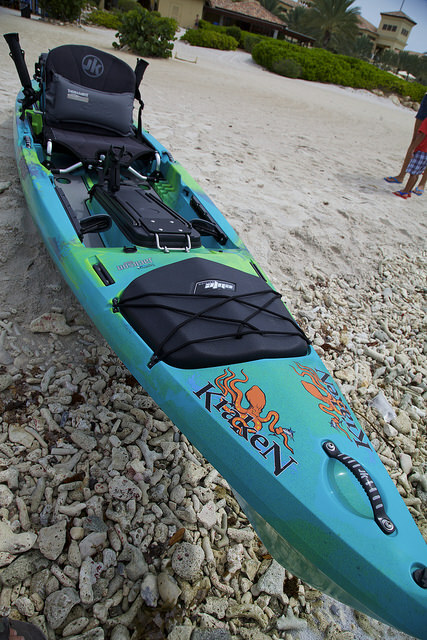 Though I tend to prefer the longer kayaks, hence the 15’7″ length of the Original Kraken, now called the Kraken 15.5. I also know there are a lot of people that want those same features that the original Kraken brought to the table but in a smaller package. That is why Tony Lee and the rest of the Jackson Kayak design crew worked hard to bring you the new Kraken 13.5. Though I helped on the design of this boat I just recently had the chance to get it out on the water for its first fishing shake down cruise. Once again I think Jackson hit it out of the park on this one. As mentioned above the Kraken 13.5 has all the great features included in its big brother but in a lighter more nimble package. I had the 13.5 out in some pretty sloppy conditions, high winds and chop, and it handled these conditions as would be expected of an offshore fishing kayak. 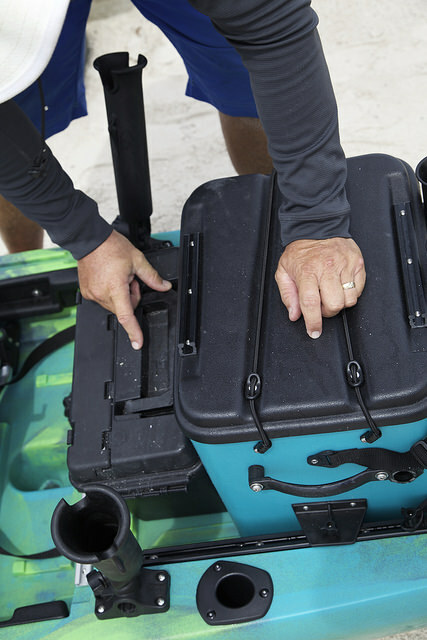 It handled the slop both punching into and running down swell with ease. The guys I was fishing with were both in the 15.5 and though I was a bit slower it was barely noticeable. I am sure if I had a rudder, as the other two boats did, it would have been an even closer race. Though I normally don’t use rudders in these high wind conditions it would have really helped out in the tracking. 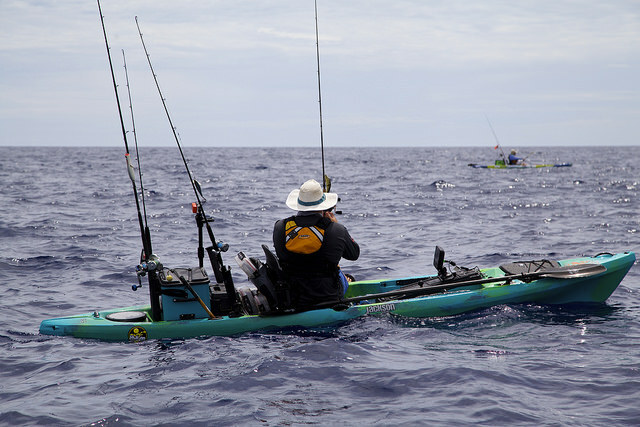 While fishing in the more sheltered areas no rudder was needed and the kayak paddled like a dream. Of course like the 15.5 the 13.5 is prerigged for a rudder so adding one is a breeze. 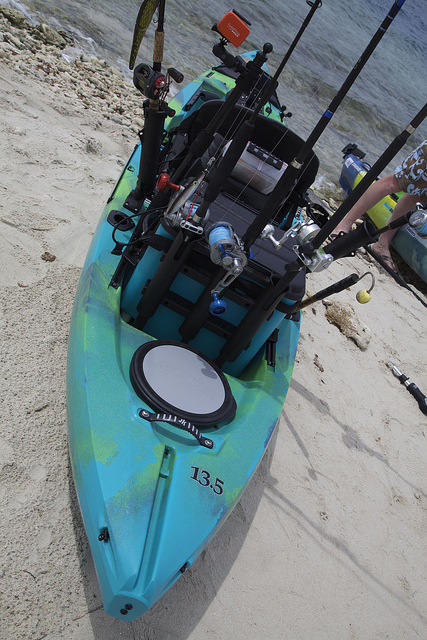 Here is what they have to say about the Kraken 13.5 on the Jackson kayak site. 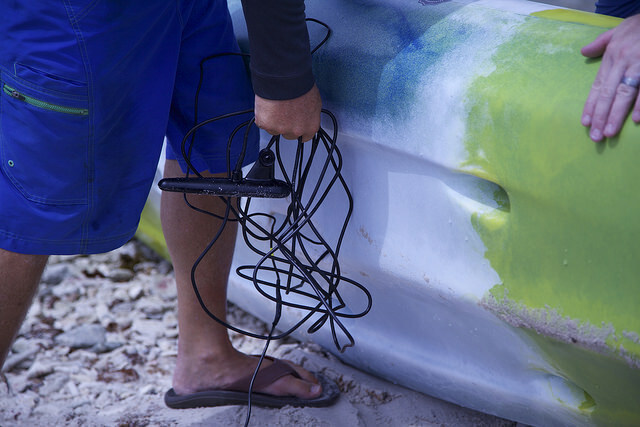 Being 13’3″ the new version of the Kraken is just over two feet shorter than the original and would be suited for anyone looking for good performance in a smaller package. Being 230 pounds myself, with a full bait tank which would add another fifty plus pounds and an awful lot of gear. 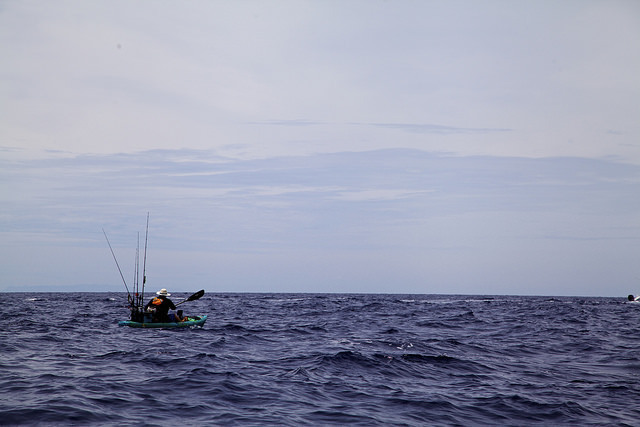 I still felt the kayak carried the weight well and could have handled a few big fish in the hull with ease. One addition to the 13.5 that you will not see in the 15.5, that should really appeal to those stalking the flats, is the addition of a high seat position. Doubtful I will be using this position while fishing offshore but in the calm waters of the flats it is a welcome addition to aid in locating fish. 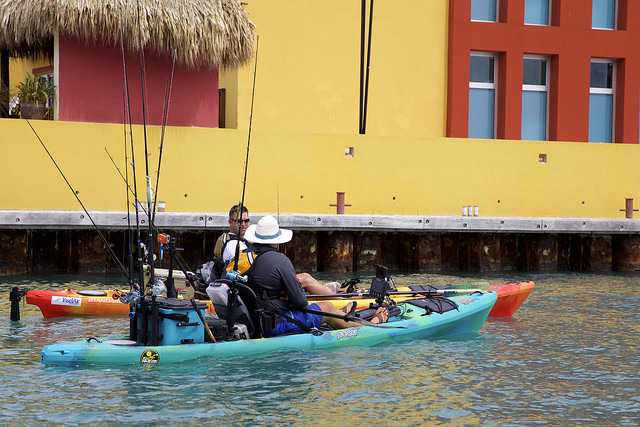 New this year with the Krakens you have some rigging options, in the 13.5 you can get the base model or the elite package and with the 15.5 you can get the base, Elite or the fully loaded Pro model. Basically giving you the option to buy a stripped down boat ready for your rigging or get one that is dialed in and ready to conquer any fish in the sea. The Elite comes with the floor padding, and KKrate and more. 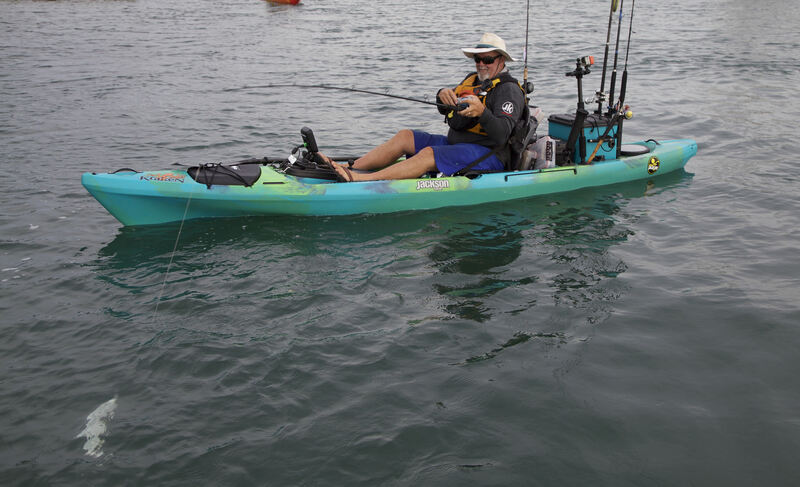 To get a full list of the features and extras available on the Kraken make sure to visit the Jackson Kayak website. Though you will likely still see me spending most of my time in the long boat, I think the 13.5 will be quite at home in the big offshore waters, bays or lakes. 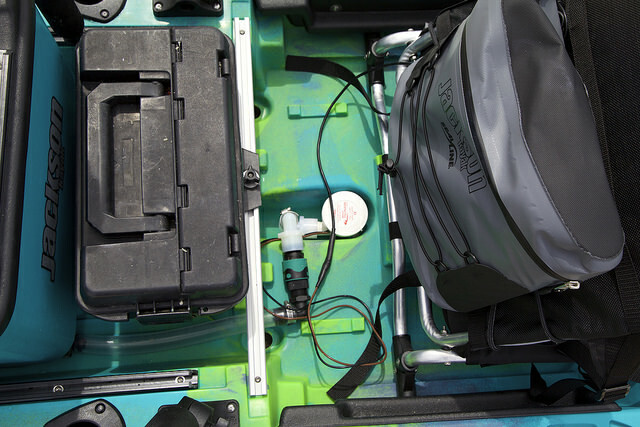 A great boat for anyone that wants a true paddlers kayak but doesn’t want to deal with the size of the 15.5. Vist your local Jackson dealer and get one our for a test paddle, I am sure you will like it. Rod holders? Yeah we have plenty and room for the Kkrate and a tackle box.